Be sure to fill out our player registration if you haven't already. Not that good? All levels are welcome. Can't skate? We have floor hockey too! The Coast Guard Hockey Organization is a federally recognized 501(c)(3) organization established to consolidate Coast Guard hockey involvement under one umbrella, bringing the population even closer together. Coast Guard Hockey is NOT officially affiliated with the US Coast Guard, DOD, DHS, Any MWR Program or the Armed Forces Sports Council. 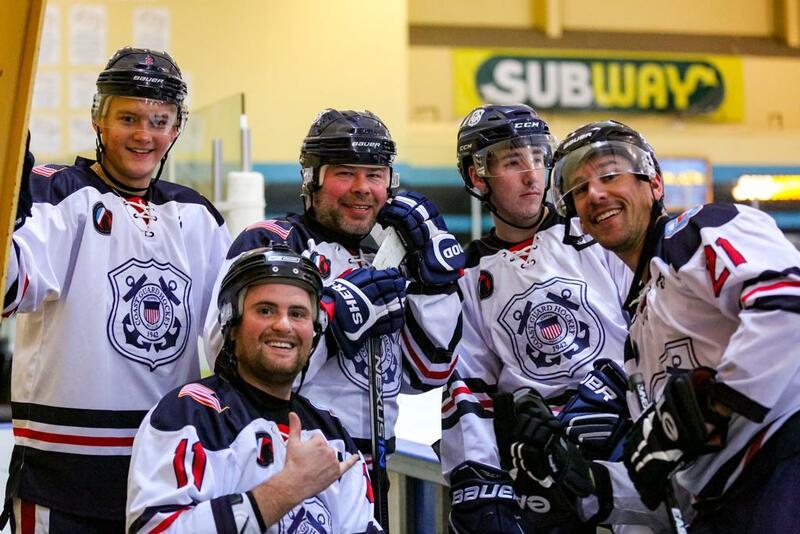 Support for Coast Guard Hockey comes solely from fundraising and donations. ©2019 Coast Guard Hockey Organization / SportsEngine. All Rights Reserved.